HTML5 application developers can create custom attributes to save data. 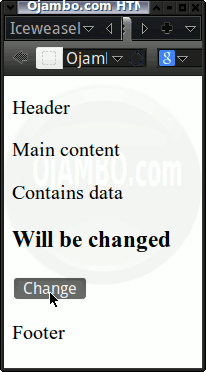 Each HTML element can store multiple data attributes. The HTML5 data attribute feature works in all current major browsers. This tutorial uses HTML5 custom data attributes. Web application developers can use HTML5 to create custom data attributes. Each element can store unique data using a custom data attribute prefix of “data-“. Use elaborate custom data attributes. Use unique identifiers to target specific DOM elements. This entry was posted on Wednesday, June 19th, 2013 at 12:00 am	and is filed under Tips & Tricks. You can follow any responses to this entry through the RSS 2.0 feed. You can leave a response, or trackback from your own site.